Good Smile Company will be attending CharaHobby 2013 C3 x Hobby to be held at the Makuhari Messe International Halls 1-3 from the 31st August (Sat) to the 1st September (Sun). The booth will include early sales of the Nendoroid Petite Hatsune Miku Selection as well as its ambassador, Nendoroid Petite Mikudayo! Both have limited stock, so don’t miss out! 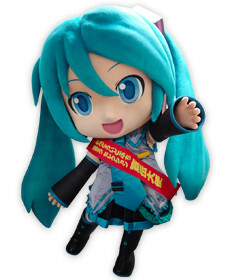 Additionally, the first 390 people to purchase Nendoroid Petite Mikudayo will receive a special CharaHobby Sash Ver.! A number of the latest figures will also be on display, and Ultra Super Pictures is planning to show off their latest works. We hope to see you there! * Nendoroid Petite Mikudayo CharaHobby Ver. will only be given once per person. * Nendoroid Petite Mikudayo CharaHobby Ver. will only be provided to the first 390 purchases each day. * Stock of food is limited. 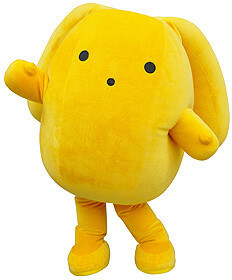 The mysterious wooser from ‘wooser’s hand-to-mouth life’ and the overly noticeable Mikudayo from Character Vocal Series 01: Hatsune Miku will both be visiting this event! * Please follow directions of staff when taking photos with the characters. * Times will be announced at the event.